A noun clause is a dependent clause that acts as a noun. That means that the whole clause is performing the job of one part of speech! Since these act as nouns, they can perform any of the noun jobs. They can be subjects, direct objects, indirect objects, objects of prepositions, predicate nouns, and more. Broccoli is fine with me. The word broccoli is a noun performing the job of the subject. Now, whatever you want is the subject! It is a whole clause performing the job of a noun. Notice that unlike adverb and adjective clauses, noun clauses are not modifying anything. They are acting as nouns within the independent clause! Start by identifying the noun clause in the sentence. Then, decide what role it plays in the sentence. Is it the subject? Is it the direct object? Then, diagram the independent clause. I know this seems kind of strange because noun clauses often function as integral parts of the independent clause (subjects, direct objects…). For this reason, we can call the independent clause the host clause. 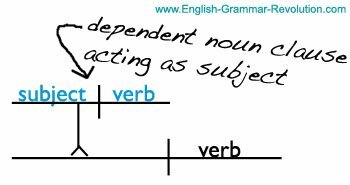 Diagram the noun clause above the noun slot in the diagram that corresponds with its function (subject, direct object, predicate noun…). Then, attach it to the diagram with a pedestal. 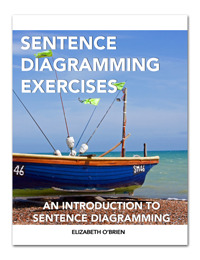 Looking at the example sentence diagrams below will make it easier! Does your mom know where you are going? Directions: As you diagram the following sentences, start by deciding what the noun clause is acting as. Place it on its own line just above wherever it goes in the independent clause. Connect the sentence diagram to the independent clause with a little forked line. 1. Where the sock had gone was a mystery. 2. I wonder how I lost it. 3. My mom knew where I lost my sock because she found it in the dryer. 4. Now I am prepared, and I'll go with whoever is ready. 5. Wherever we are going will be wonderful. My student can finally see concretely what all these teachers have been trying to tell her. I practiced diagramming a few sentences from your Stay Smart books, and I felt like I was "getting it." I felt so encouraged that I dug up my old college composition text books and started reading. My mind was buried with "Ahas." I was so energized! Everything is making sense now. Move on to Chapter 11.